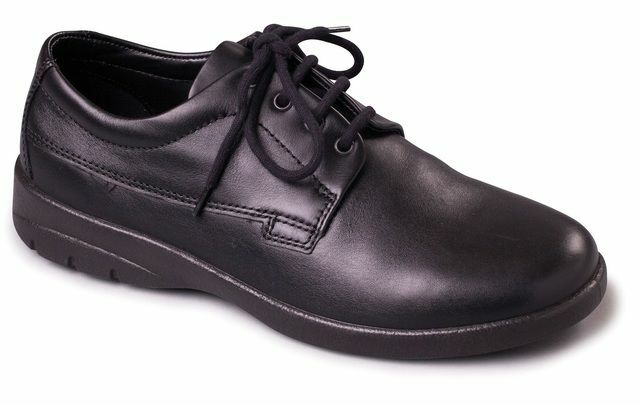 Rieker bring us 17354-45 BASTIA. 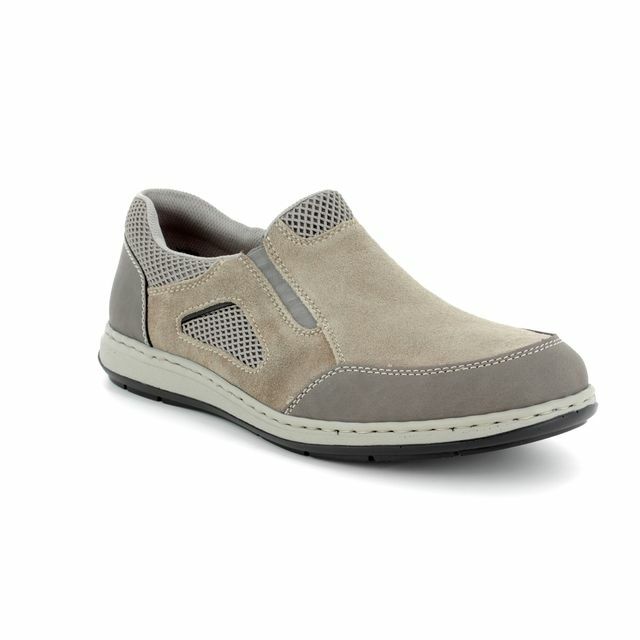 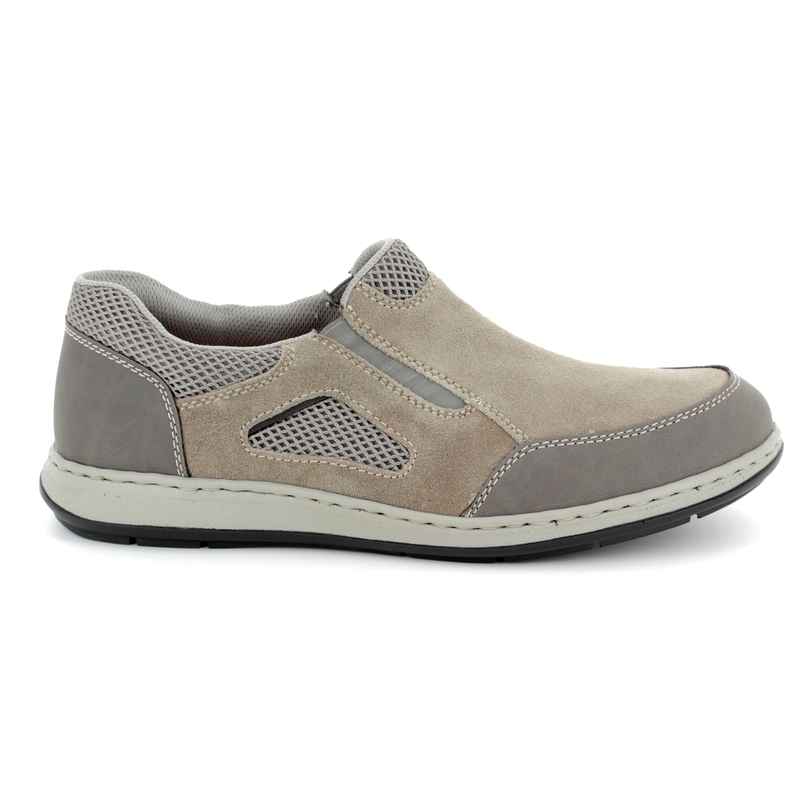 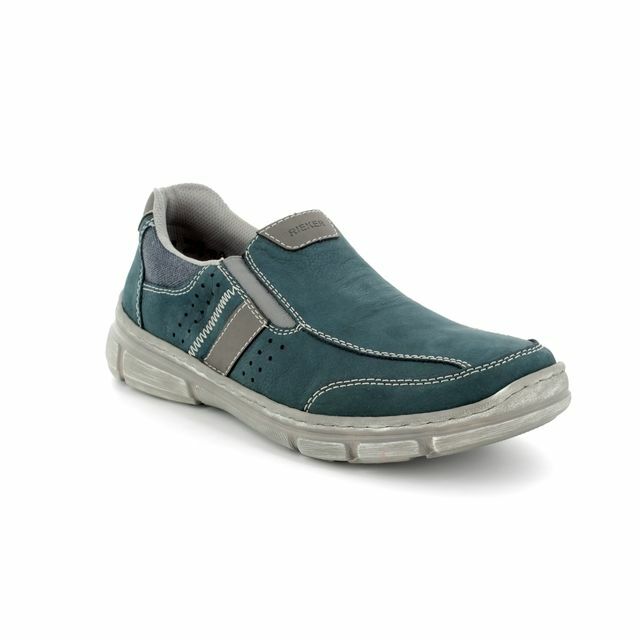 Ideal for the summer months, these men's slip on shoes effortlessly combine style and comfort. 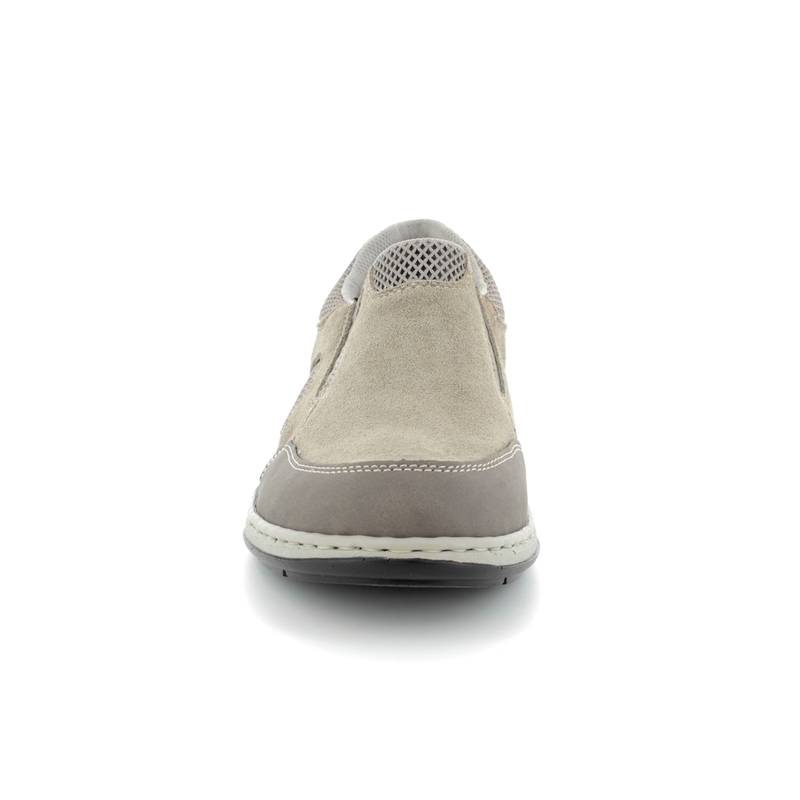 The taupe upper of these men's shoes features a contrast stitch detailing, echoing the colour of the sole unit. 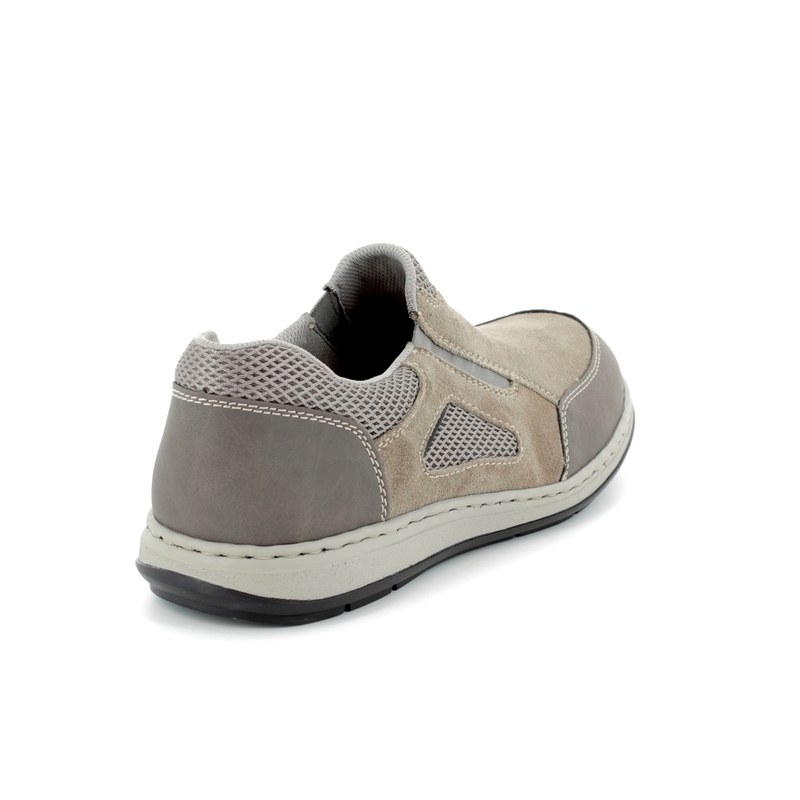 Mesh panelling has been added for a sports inspired vibe while the elasticated gussets ensure an easy to use and secure fit. 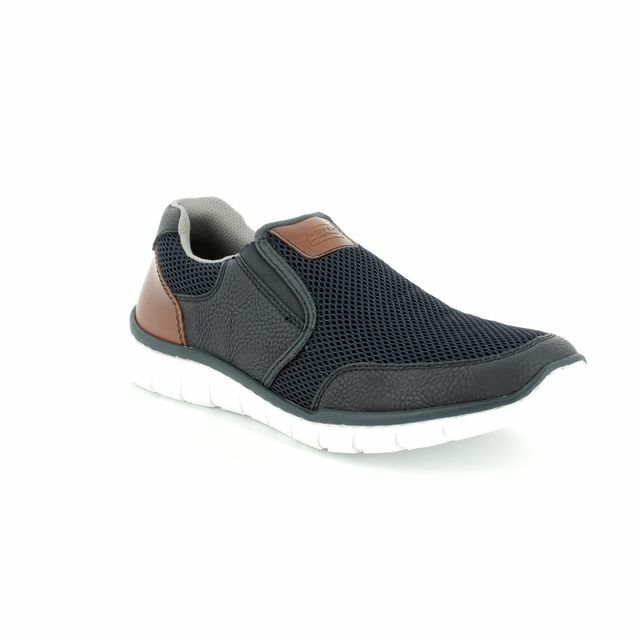 Rieker have used their ANTISTRESS technology in these men's shoes, pairing a flexible and shock absorbent sole unit with a cushioned insole for the ultimate in comfort. 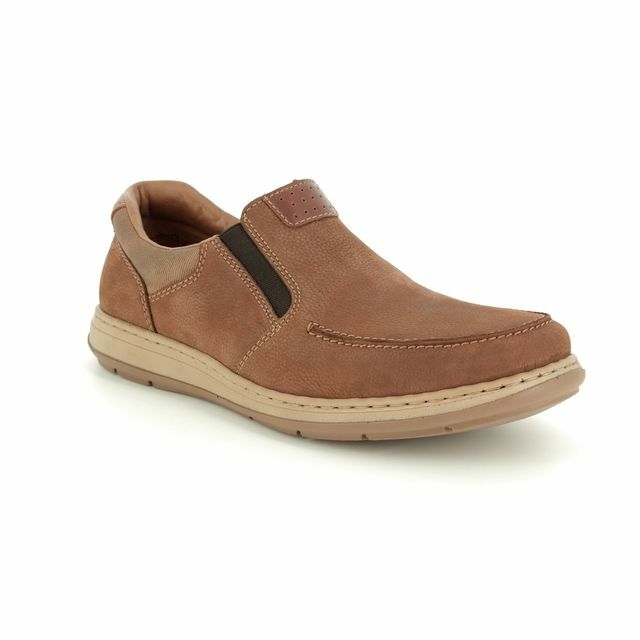 Dress these slip on shoes up with chinos for dinner out or pair them with jeans for a casual day look. 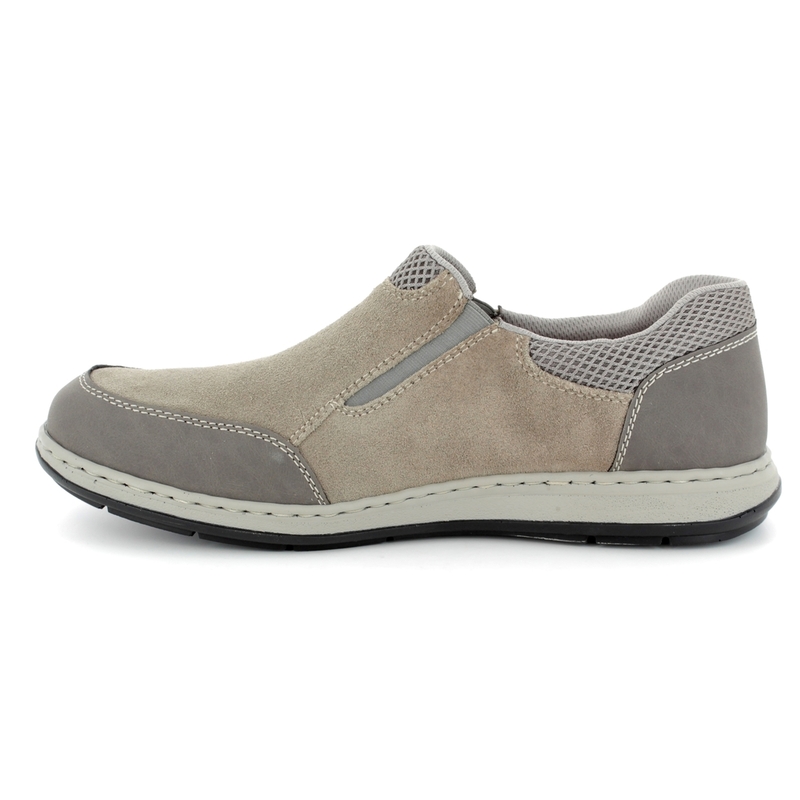 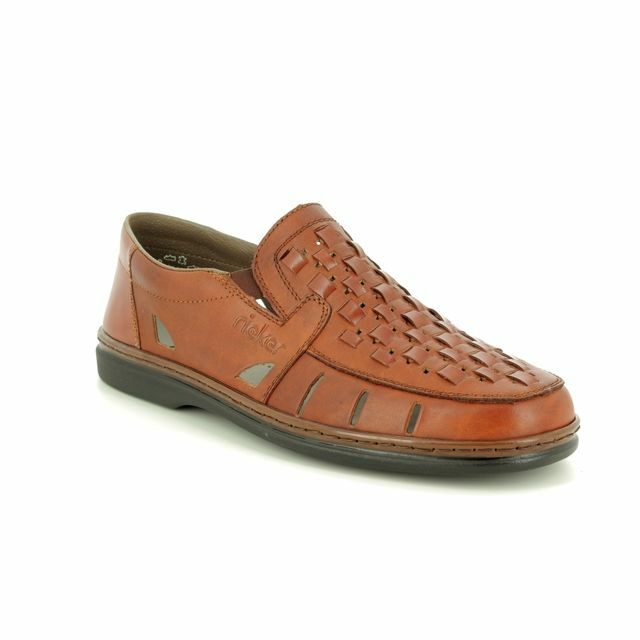 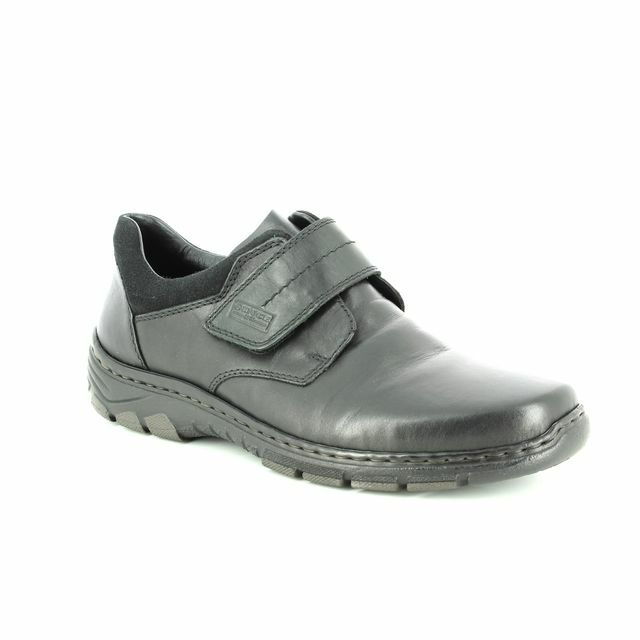 Buy your Rieker men's slip on shoes from Begg Shoes, an official Rieker stockist.